The holidays are fast approaching, and chances are you have a wine lover on your gift list. 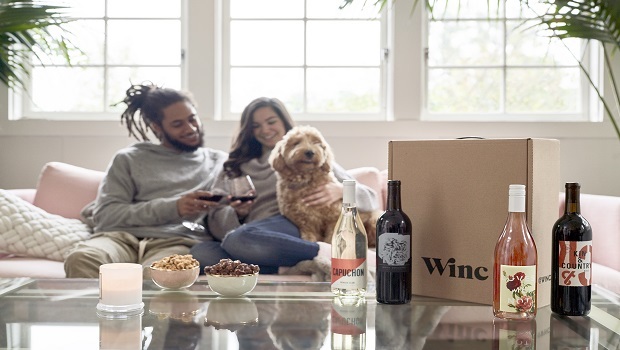 Whether it be a family member, friend or co-worker, look no further than Winc to find the perfect gift for the wine enthusiasts on your list. In case you are not familiar with the company. Winc is a modern wine brand that makes it easy to find wines you love. Take Winc’s 6 Question Palate Profile Quiz where you’re matched with wines tailored to your tastes and preferences. 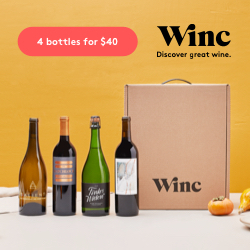 They’ll send you four great bottles a month, delivered straight to your door. Explore different varietals and rate your favorites. The more you rate, the better your recommendations.Winc is a modern wine brand that makes it easy to find wines you love. You’ll take Winc’s 6 Question Palate Profile Quiz where you’re matched with wines tailored to your tastes and preferences. They’ll send you four great bottles a month, delivered straight to your door. Explore different varietals and rate your favorites. The more you rate, the better your recommendations. 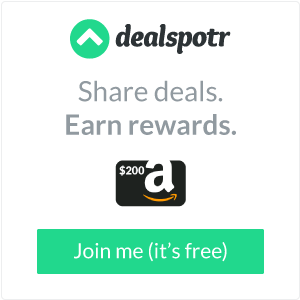 Join the thousands of Winc members already enjoying great tasting wine.